When I received the above email message from Nina Miller in Australia on Monday, September 20, 2010, I was both surprised and saddened. I had been in email contact with Eugene for about two years, and in the dozens of emails he sent me he never once mentioned his illness. I had lost a good friend who had come my way through our shared interest in Elvis Presley. 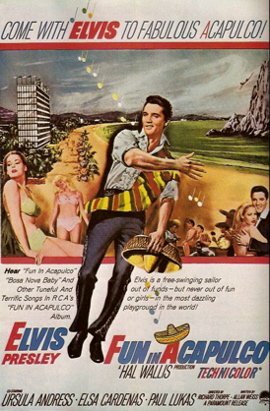 I first heard from Eugene in June 2008, when he emailed me his comments on one of my early blogs about Elvis’s movies. It was obvious from that first communication that he was a fan and defender of Presley’s films. He suggested that I do some research on Elvis’s costars and write a blog entry about my favorite ones. He signed off that first email with, “Your fellow Elvis fan, Eugene Sheviakoff,” as he would many future emails. As soon as it was posted, I asked Eugene to get back to me with any needed corrections. I only mention this because it led to me asking Eugene if he would proofread all of my blogs from then on, which he agreed to do. Thereafter, after posting my Elvis blog on Wednesday night each week, I’d find a message from Eugene early each Thursday morning identifying any typos or grammatical errors in that week’s blog. I confess that I grew a little complacent in proofreading my own writing because I knew Eugene would give it a thorough going over for me. I’ll miss his proofreading but even more I’ll miss his weekly comments on my Elvis blogs. There were times he disagreed with me, but he always did so respectfully. He was passionate about Elvis but also tolerant about the opinions of other fans. “We are a white Russian family who migrated from China to Australia in 1958 when I was about 14. My parents came to China from Russia in 1917 to escape the Russian revolution. I have now lived in Australia some 50 years. “I had begun hearing about Elvis Presley since I first read about his being discharged from the army in 1960 and bit by bit began reading more and more about him as the years went by. Gradually I came to understand that people regarded him as a very popular singer. Our nearby railway station always put up big movie posters of his films, and I remember seeing a poster for It Happened At the World’s Fair there. 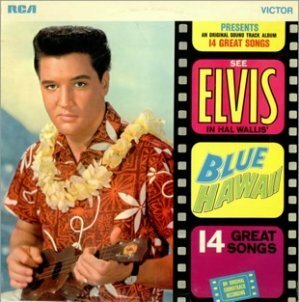 Eugene’s collection included over 50 Elvis CDs, but when DVDs of Presley’s movies started to be released, that facet of Elvis’s career became his primary interest. He was especially interested when I posted blogs about subjects related to Elvis’s films and would comment on them extensively in his emails. Occasionally, Eugene would share bits of Elvis film trivia. The following one concerns the trailer for The Trouble With Girls. 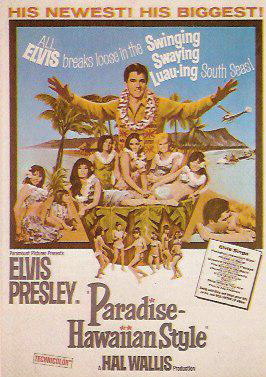 Another bit of Elvis film trivia Eugene passed along concerned how the Presley pictures were filmed. This past summer, Eugene informed me that he had in mind to write an article about Elvis’s leading ladies. I encouraged him to do so, and in August he emailed me a draft of the article. I suggested he make some changes before I posted it in on Elvis-History-Blog, and he agreed to rework the article. There are probably hundreds of thousands of Elvis fans around the world similar to Eugene Sheviakoff. Through his music and movies, Elvis is an ongoing source of pleasure in their lives. Eugene, in particular, though, helped me to realize an important part of Elvis Presley’s legacy. Even decades after his death, Elvis still has the power to bring two fans together in friendship, even though they live half a world away from each other.